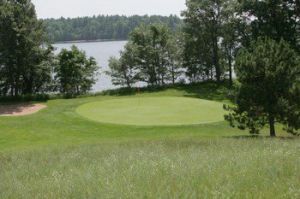 Black Bear Golf Course gives players the best in Northern Wisconsin golf. The scenic course located in Minong, Wisconsin, debuted in 2001 with a simple goal — to be the best in Northern Wisconsin golf. A decade later, we’ve achieved that goal. Meanwhile, we continue to make improvements, brainstorm new ways to enhance the Northern Wisconsin golf experience, and, most importantly, serve our players. Here at Black Bear Golf Course, we sincerely hope you come spend time with our beautiful course, expert staff and wide array of amenities. In fact, we hope you stay for a very long time. We have exciting stay and play package options available as well. Whether you’re looking for a relaxing day on the course or a scenic new place to call home, Black Bear Golf Course has exactly what you need. Black Bear Golf Club is not yet in our pool of Golf Courses for orders.